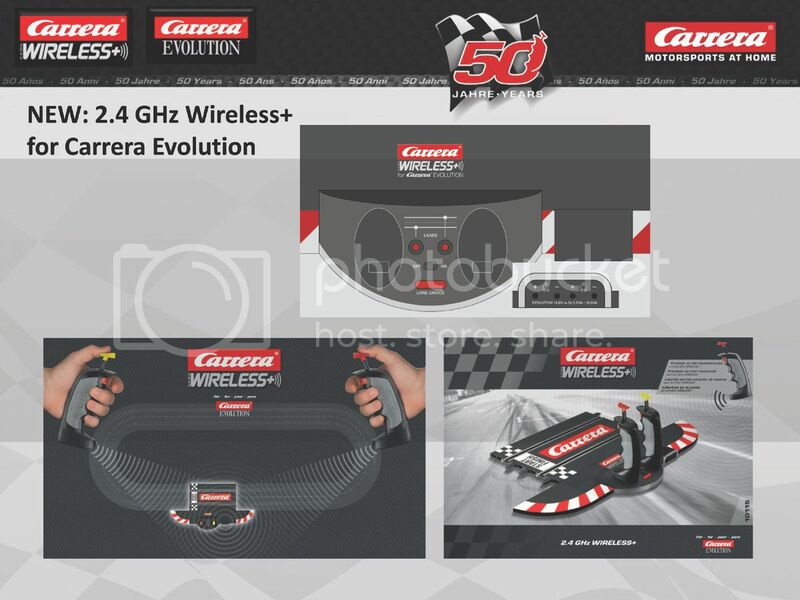 The 10115 set comes with what you need to plug in to any Carrera analog track system. A power supply plugs in to the right side of the recharging station for the controllers. The track piece replaces the standard analog track connection piece in the system. Programming the controller to the lane is simple. 1. Press the red “Lane Choice” button on the base track piece to select the lane you want to program (you will see a red LED light, light up to show which lane you have selected). 2. With the controller in your hand then press the black programming button on the top of the controller. 3. The controller is now programmed to that lane. 4. To Program the other controller to the other lane push the red “Lane Choice” button again and select the other lane and repeat the programming procedure. Range on the controllers is about 50’, more than enough range to use your W+ controllers from any place around your track. The set comes with connection track piece, 2 W+ controllers, and 2 track shoulder end pieces. 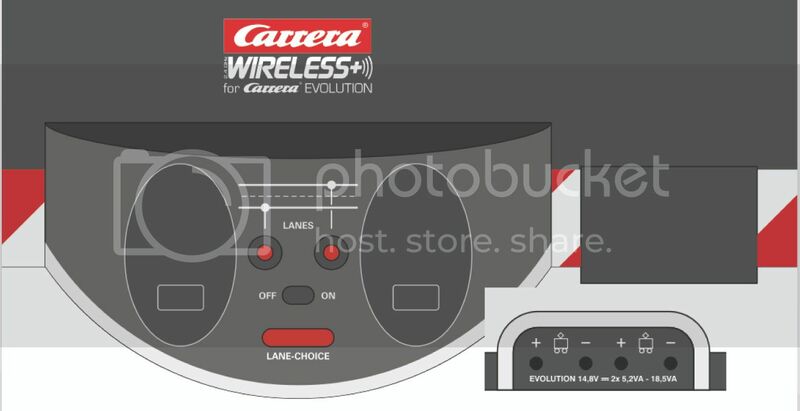 **NOTE**-These controllers are the same W+ controllers used for the digital system (you can see from the photos that the red lane change button is on these controllers, but as of yet the red button on the controllers has no function for the analog system). The only difference is that these controllers have gray grips. Expected release of this is August/September of this year.